Set the scene in the Cycladic Islands, filled with whitewashed streets and homes, where white and blue dominate. Discover secret photography spots where a windmill meets an expanse of blue sky and grab a photo to keep you warm on stormy winter days. Some say the most amazing island views are in Santorini Island. The world renowned caldera, (the rocky formation left behind from Santorini’s days as a volcano) is breathtaking. Stop at Oia village on the top of those rocks to take in the colorful view of traditional houses and wait the most mesmerizing sunset of your life. The blazing sun becomes huge and orange and fills the sky before turning purple until the last rays touch the horizon. Crowds gather to watch the spectacle and applaud as the sun sinks into the sea. The harmony of nature in Greece’s natural surroundings offers the most beautiful colors imaginable, through plants, trees, buildings, food, sunsets and sunrises. 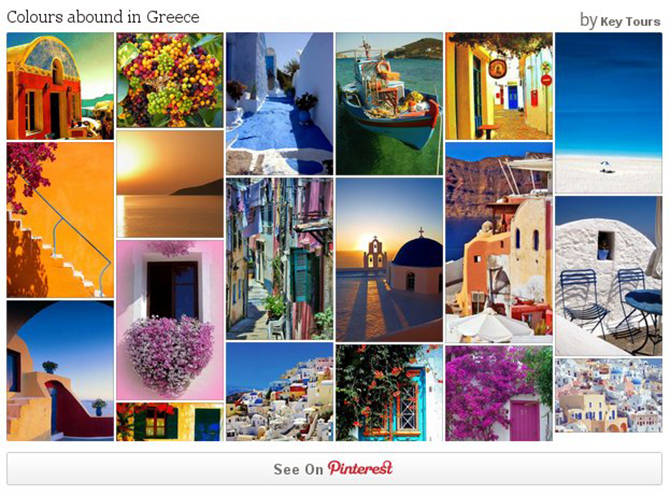 Take a trip around Greece where you will find beautiful colors in the people you meet, the light wind and the sunlight on your face as well as the breathtaking views you will find in front of you every day.